Years ago when Susan Coryell lived in Northern Virginia, she started writing a novel about a haunted Revolutionary War era estate nearby. Author Susan Coryell of Moneta. range of themes and characters. This is her first time to have a work available on E-book, which Coryell said is exploding. She said it’s been receiving positive reviews and has also drawn an audience from paranormal groups. "There is a lot of theme in this book," she said. "I like to keep people turning pages." Coryell said the history in her book is authentic. She said she’s never encountered a ghost but has friends who have. Some groups have said her version of a ghost have fit perfectly what their experiences have been. She is planning a sequel, based on Ashby’s life some three or four years later. She said it will "solve" one of the long-standing Confederate mysteries. 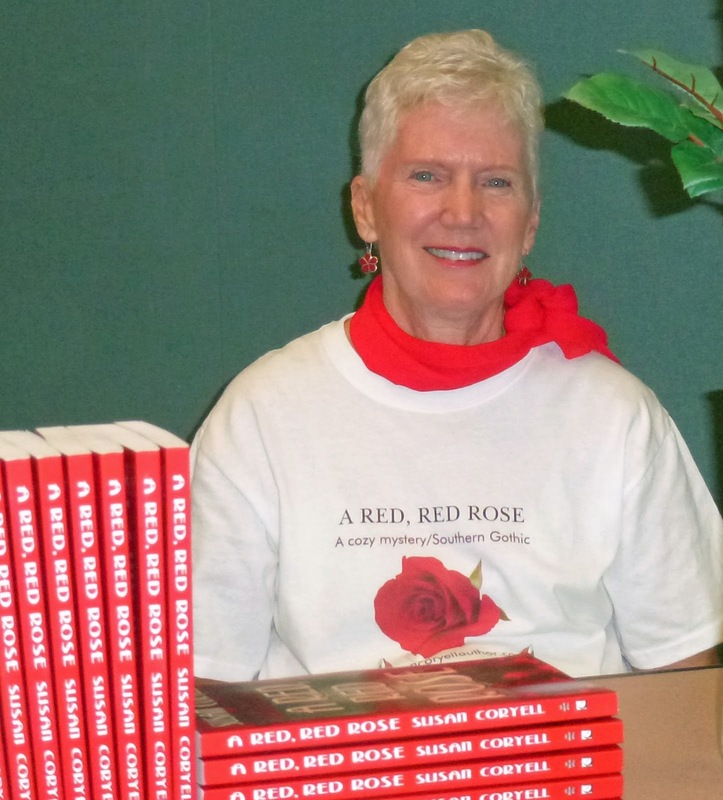 Writing is nothing new to Coryell—a retired English teacher—or her family. "I always say writers know who we are and writers have to write," stated Coryell. Her maternal grandfather was a published poet; her brothers are both published nonfiction authors; all three of her children are writers and a couple of her grandchildren are also following in those footsteps. "My mother said I was born with a pencil in my hand," Coryell said. Her first published book was "Eaglebait," which took on the issue of bullying. Though published two decades ago, it has received renewed interest. "Eaglebait" won two awards—a national and an international one—and is cited on numerous anti-bullying Web sites. That prompted Coryell to bring it back out in softcover last year. "I do think that is an issue that isn’t going to die," she said of bullying. And Coryell is setting her writing standards higher, the more she writes. "I want to make my writing even better," she said. When not writing, Coryell enjoys boating, kayaking, travel, golf and yoga. Coryell notes that her book is a good choice for book clubs because of all the themes and layers. "My novel is not just a who-done-it thriller but a book based on multiple themes," she said, adding she would be happy to meet with book clubs that read and discuss the book. 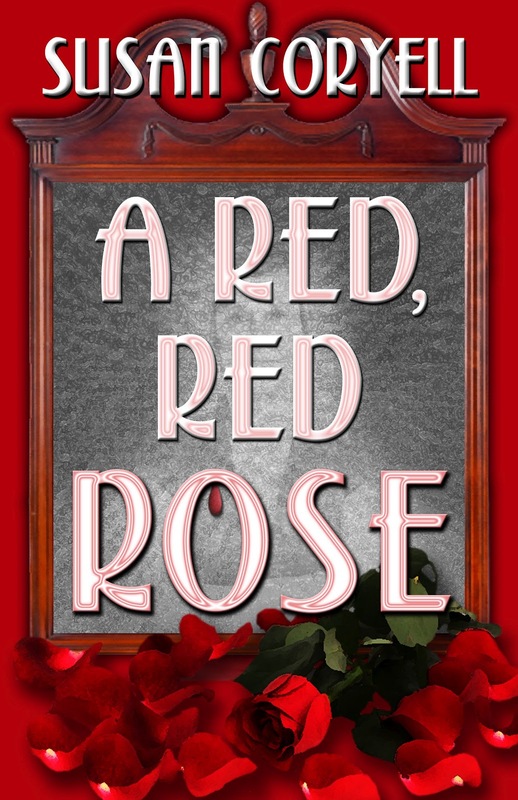 "A Red, Red Rose" is published by L&L Dreamspell: www.lldreamspell.com. It is available as a Kindle E-book at Amazon; AllRomance/omniLit; multi format Ebook from Fictionwise; iBookstore! ; and Nook E-Book (Barnes and Noble) for $4.99. Print copies are available from Amazon and at Barnes and Noble bookstores for $13.99. Visit her Web site: www.susancoryellauthor.com and her blog: www.susancoryellauthor.blogspot.com. She is on Facebook and utilizes Jacket Flap, Linked In and She Writes. I'm about to embark on a new adventure! Thursday, August 23rd at 9 PM Pacific Time (that's midnight EST), I'll be interviewed live on BBS Station 2 on "Lisa's Walk the Talk" show. It's a call-in venue and I'll be broadcasting over a large range of the world, so this should be interesting, to say the least. 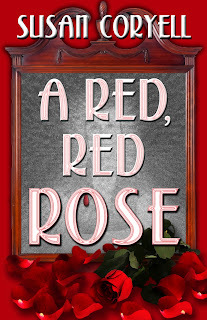 I'll talk a bit about A RED, RED ROSE and writing in general and read some excerpts. Then the call-in questions. The show lasts for an hour. Wish me luck, everyone! I am loving the paranormal connection for my cozy mystery/Southern Gothic!